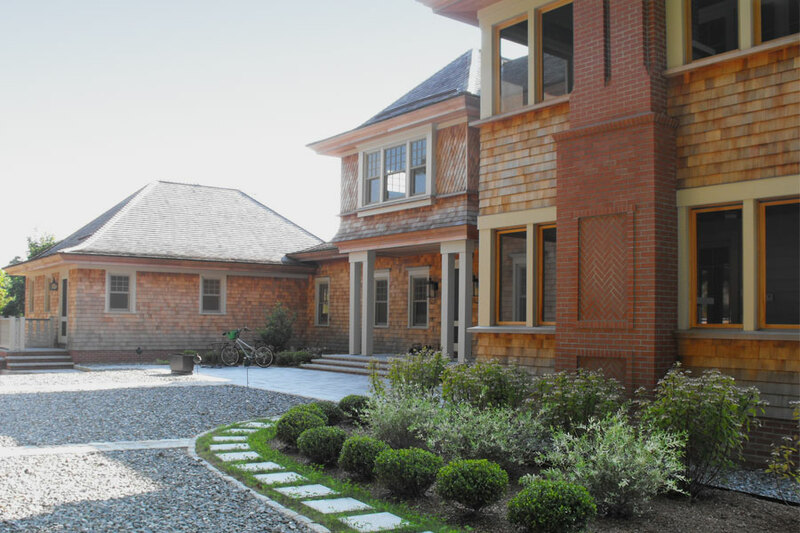 This formal residence is sited on a remaining parcel of land that was originally part of an Olmsted landscape. The neighboring house to the northeast was designed for the Proctor and Gamble heirs at the turn of the 20th century and was part of the Olmsted residential subdivision for this area in Watch Hill, Rhode Island. 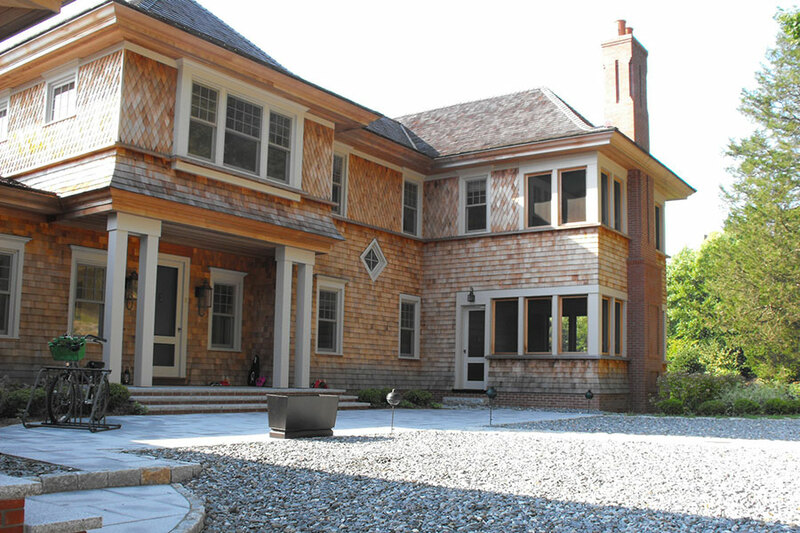 The original lot was subdivided into 4 lots which included the lot of this new residence. The owners’ desire was to continue the formality and character of the Watch Hill area. The architect set the house towards the eastern end of the lot on the highest point so that views were provided from the main living areas out onto a large sweeping lawn. The house is approached from a common drive that serves the adjoining neighbor. 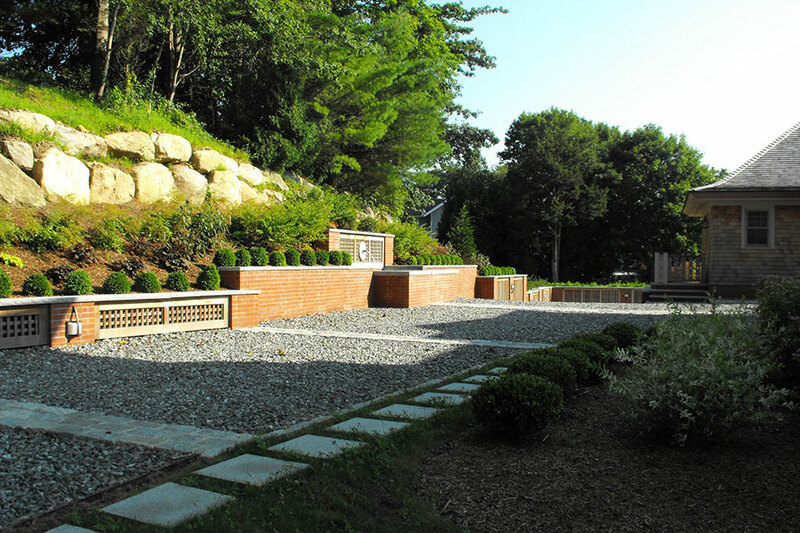 The drive sweeps around to a formal front entrance courtyard framed by the house and the brick retaining walls of a fountain and landscaped slope. The driveway continues around the house to a lower drive court that provides access to the basement garages. 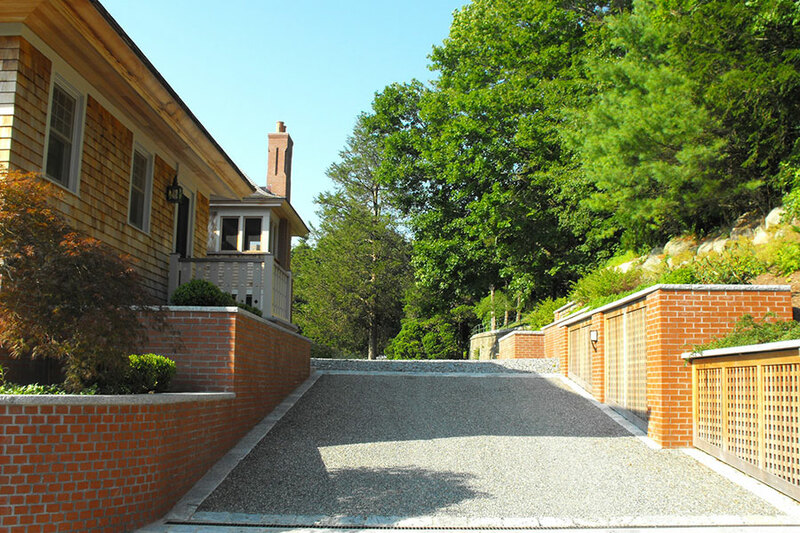 Hardscape material selection complimented the brick house in the choice of granite, bluestone and blue “chipseal” driveway. The plant material selection continued the theme of formality with materials such as inkberry, boxwood, evergreen groundcovers and specimen trees such as dwarf cutleaf maple, clump birch, witch hazel and willow. Plantings were selected for their sustainability and ease of maintenance, particularly along the east slope whose environment of dry shade presents challenges for plant growth.